As you know Francesco Pachi and me introduce our new project about Great Persons in the World of Knives. 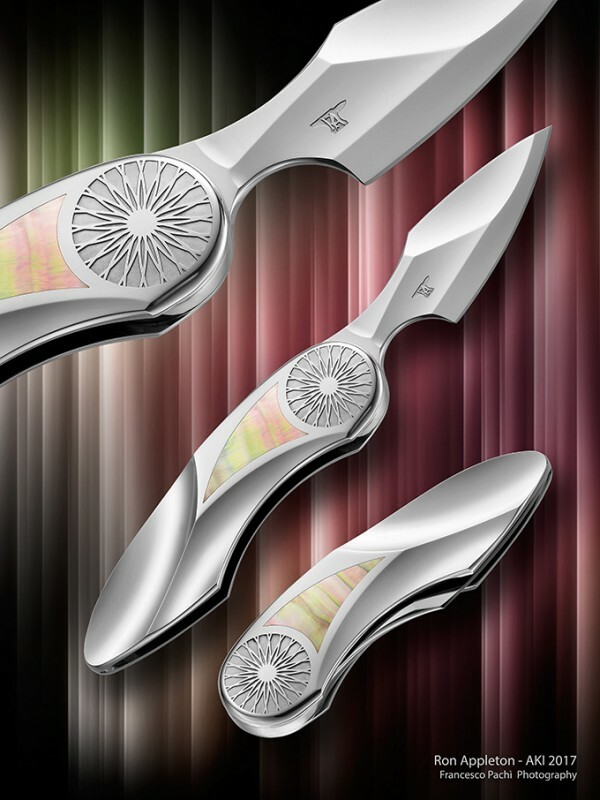 The name of Francesco Pachi is well known for knife masters and not only for them. A talented man is talented in any craft, so Francesco is known not only with his knife masterpieces highly appreciated by collectors: for a long time he was the head of, probably, one of the most famous knife Guilds in the world, the Italian Knife Guild. Besides, he makes amazing photographs appreciated by collectors not less than his knives. Currently he his occupied with photography only. But still the knife world, be these real knives, photographs, exhibitions, books, or anything else, here are his world and his life. One publication by me - one photo by Francesco - one famous knife maker. Франческо Паки и я представляем вам наш новый совместный проект. Пожалуй, на сегодняшний день Франческо, в прошлом знаменитый найфмейкер, является самым известным фотографом, передать ножи для съёмки которому, уже большая честь. Ни для кого не секрет, что ножи, которые появлятся в Каталогах,"приобретают дополнительную ценность". Мы вместе с Франческо хотим рассказать вам о Людях, которые стоят за этими ножами. Сейчас взяли подборку за прошлый и позапрошлый год и готовы пригласить вас в удивительный мир - the world of custom knives. Работа была представлена на AKI 2017 . Рон Эпплтон родился в 1954 году в семье инженера Рэя Эпплтона, который занимался металлообработкой просто в домашней мастерской. Отец привыл сыну любовь к механизмам. И Рон из тех редчайших Мастеров, которые умеют заморочиться просто на отлично. У каждого складного ножа, который он создаёт, собственный эксклюзивный замок. Appleton Infi-lock System мультипозиционная фиксация клинка. Представляете нож, клинок которого можно зафиксировать в двух десятках разных позиций? Вам всего лишь надо найти нож от Рона Эпплтон. Да, эти ножи уникальны и редко попадаются в продаже, тем больше их ценность. Welcome to my website. Thank you for the opportunity for me to present to you some of my creations. Mechanisms are the key to my knives. Each knife is built and created around the mechanism. The mechanisms I use in my knives are unique in the knife making world. At last count I have 29 different mechanisms including variations of a theme. I am a machinist by trade first, knife-maker by heart second. Special care to fit and finish, tolerances and detail are things I take pride in. I am constantly trying to improve and simplify giving equal weight to form and function. People usually tell me that until they actually handle and operate my knives, they cannot be truly appreciated. I make all of my knives and every part of each knife with the exception of ball bearings and some coil springs,. All of my knives are made by my hands alone using manually operated hand tools and machinery. I have no CNC equipment whatsoever. Please enjoy my photos, thank you for visiting my site and feel free to contact me with feedback or questions. I am a Member of the Art Knife Invitational® , AKI®, since 2005. ***The knives shown in the gallery are not available for sale.